A visit to nearby Puerto Vallarta is a must during your stay. Here is where you will find the shopping, nightlife and big city activities conspicuously absent from the quiet, peaceful life in Yelapa. There are many fine restaurants in Vallarta, as well as many cultural opportunites. 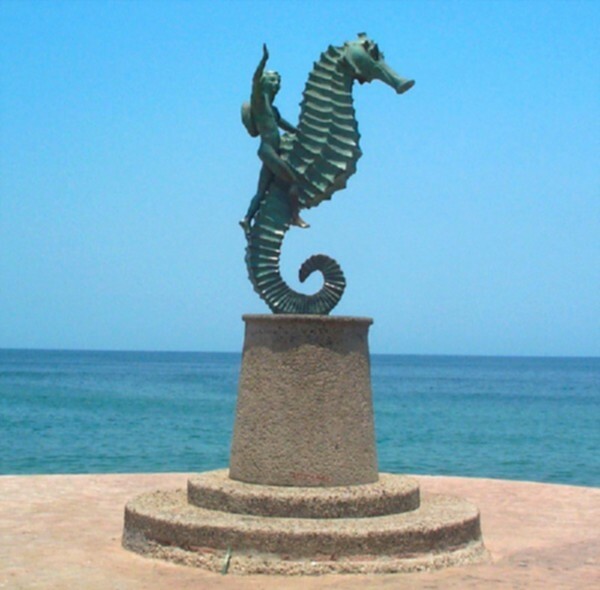 Art is everywhere: along the “malecon” with its sculptures, in the plazas and the galleries presenting Mexican Art. Puerto Vallarta has become a favorite spot for deep sea sport fishing. Baderas Bay is Mexico’s largest. Two miles deep, it is home to sailfish, mahi-mahi, dorado, marlin, tuna, roosterfish and red snapper, just to name a few. There are a variety of options for boat trips, including a Pirate Cruise!